Imagine my excitement when two friends texted almost simultaneously to let me know my cushion had come 3rd in the village show. 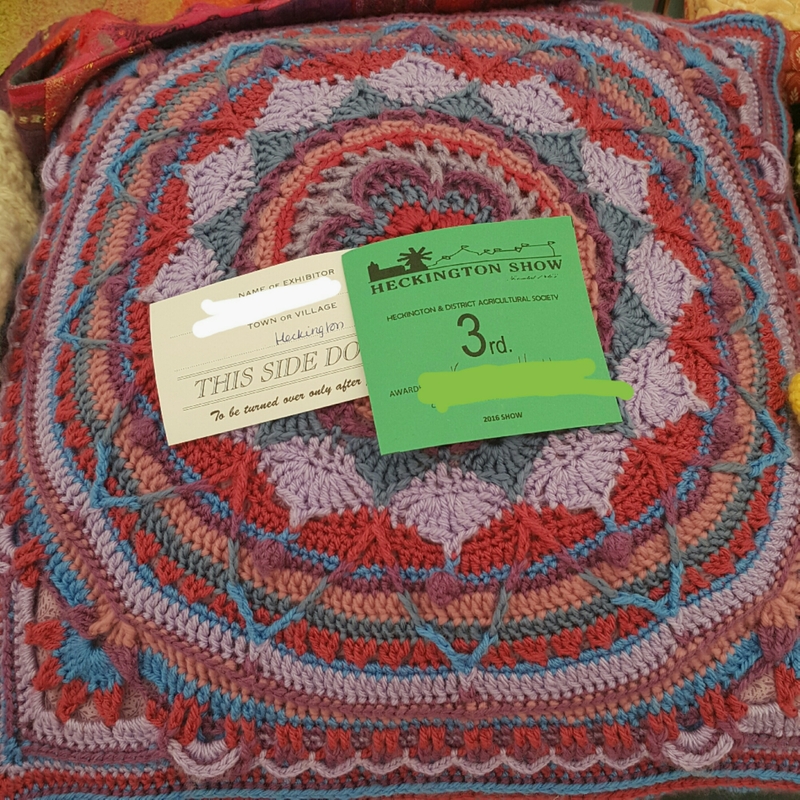 There were around 15 entries in the crochet section and they were all beautifully made, so it was a genuinely lovely surprise to discover that it had won a prize. It was worth all of the effort, and they missed the slight imperfections. I’m going to chill out now after a very busy Sunday walking around the show with the children. Whoo-hoo. Well done. Calls for a chocolate Baileys later! Yay! and congratulations! I t couldn’t have happened to a lovlier person. I think your work is beautiful-and now you see that I am right!! Many congratulations, your cushion is a very deserving winner. congrats!! it definitely deserved a place! Congratulations! It is a lovely piece. Thank you 😊 I need to find a home for it now! Well done you. It certainly deserved a prize.